Kurt Busch spoiled Kevin Harvick’s party Friday. 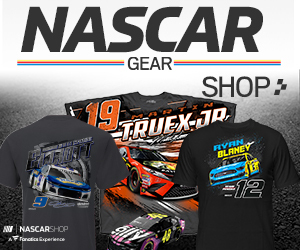 After leading the first two rounds of knockout qualifying at Michigan International Speedway Harvick could only look out his windshield as his Stewart-Haas Racing teammate snatched the pole for Sunday’s Monster Energy NASCAR Cup Series Firekeepers Casino 400. 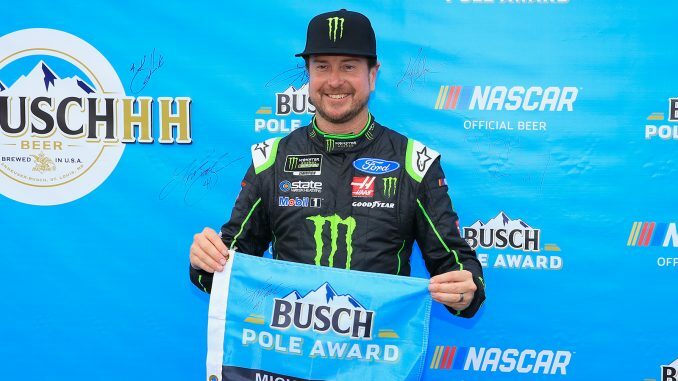 Busch put down a lap of 203.361 miles per hour around the 2.0-mile speedway with just over three minutes to go in the final five minutes to win the 24th pole of his career, his third and Michigan and his second of 2018. The lap for Busch was the fastest at Michigan since Jeff Gordon established the track record, 206.558 mph, in August of 2014. It was also 15 miles and hour faster than his last pole here in 2007. All Harvick could do was watch as first Brad Keselowski then Kyle Busch put Harvick down to 4th. Keselowski’s Team Penske teammate Joey Logano will roll of fifth Sunday. Aric Almirola, Ricky Stenhouse Jr, Erik Jones, Ryan Blaney, who led Friday’s lone practice session, and Denny Hamlin round out the top five. Defending race winner Kyle Larson, in fact the winner of the last three Michigan races, struggled in qualifying failing to make it to the second round; he will try and make it four consecutive MIS wins from the 26th place starting spot Sunday. Last week’s winner and defending Cup champion Martin Truex Jr. also struggled but did manage to make it to round 2; he’ll start 17th Sunday. Ryan Newman and Clint Bowyer were the final two cars to advance to the final round, they will start 11th and 12th respectively Sunday. With 39 cars entered for 40 spots, no team was sent home.